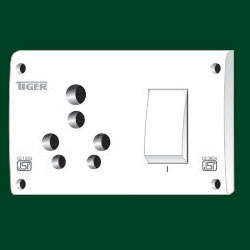 In order to cater the diversified demands of our clients, we have been able to provide a unique range of Switch Socket. - Model No. :: LN-47. 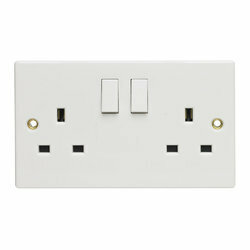 We have wide range of 15 AMP Sockets. Backed by huge industry experience, we have been successful in exporting an optimum collection of Switch Socket Combination with Indicator. It is fabricated using premium quality basic raw components and is accessible in different configurations and sizes in order to meet all the requirements of the customer all over the globe. We supply 6 & 16 Amp. S.S. Combined Switch Socket at competitive rates and in bulk quantity.